Imperial Oil now says the upcoming shutdown of its Dartmouth refinery will also mean the end of production of butane and propane in addition to bunker fuels used by commercial vessels in the Port of Halifax. Last week Imperial announced the 95-year-old refinery will be converted to a marine storage terminal by the end of 2013. At the time it did not explain the full implications. Some of those details are now emerging. "Historically the refinery provided propane and butane locally. This product offering will be discontinued. However, supply of these products is available in the market, and we will work with our customers to support a smooth transition, as we will in the case of marine bunker," said Merle MacIsaac, a spokesperson for Imperial Oil Limited. 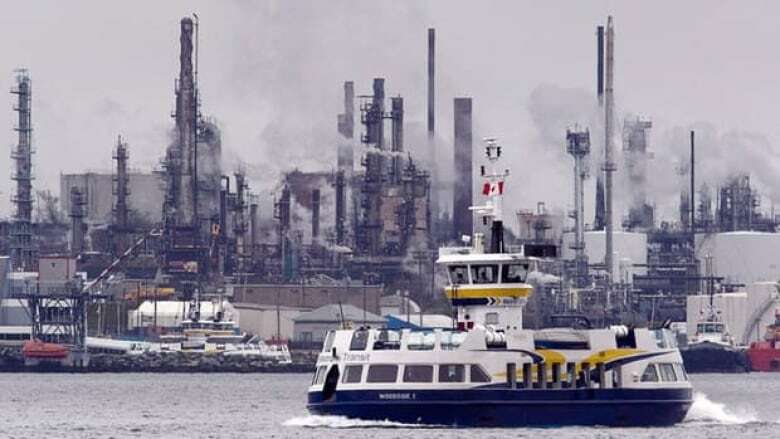 There has been speculation about the implications of the refinery conversion on the Port of Halifax. In his online blog Shipfax on Wednesday, long-time harbour watcher Mac MacKay estimated between 250 and 300 vessels take advantage of marine fueling at the refinery each year and 50 ships call on Halifax exclusively for refueling. "Certainly marine fuel [which is not diesel oil] is a major component of that service, and without it the port will be left in the lurch. Some of its current customers may also question the value of calling in Halifax if marine fuel oil is not readily available," MacKay wrote. Meanwhile, Imperial admitted it will also discontinue the supply of asphalt but said the move was "independent" of the decision to close the refinery. "We determined it was more economic for us to import that supply," says Merle MacIsaac. MacIsaac said the terminal operation will supply gasoline, diesel, home heating fuel, jet fuel and kerosene.